GateForum is the India's leading institution for GATE coaching since previous years. GateForum has it's branches in all over India at many multiple places for all M.Tech. branches including C.S., I.T., C.E., E.C., M.E., I.C. etc. GateForum has produced many toppers and has maintained it's success by producing toppers every year. Due to high interest and rush of students GateForum Gujarat has launched a special offer for convenience of new students who wants to join but have not registered themselves yet. 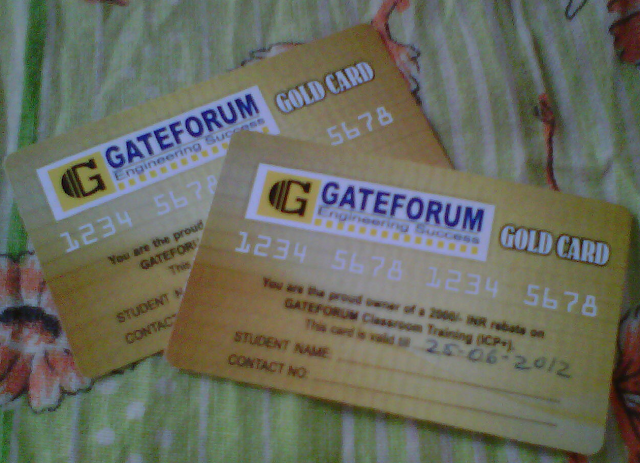 GateForum Gujarat is offering flat 2000 INR discount. It is a Gold Card scheme. 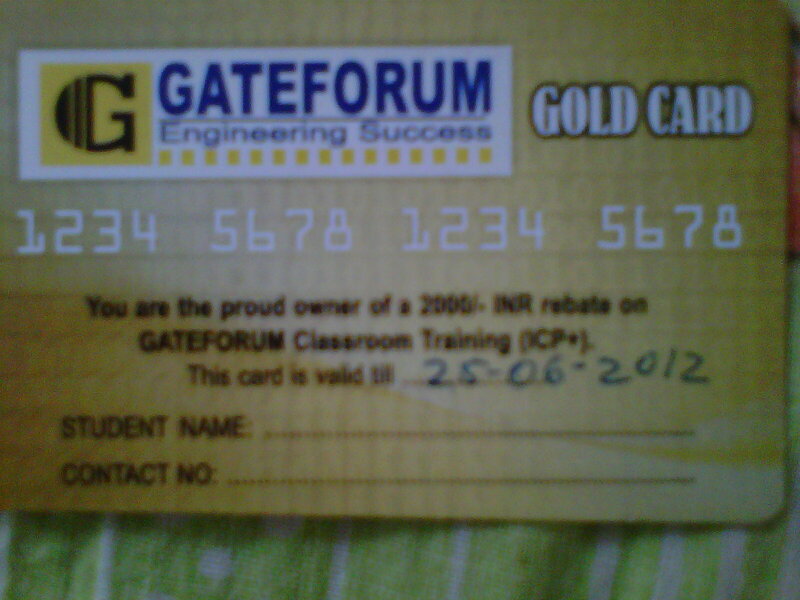 In this scheme the new applicant has to submit this Gold Card at the time of your registration, and you will get 2000 rs. off by submitting this card. This offer from is valid till 25th June 2012.